Impressively crafted and intensely horrific, It succeeds as one of the better Stephen King adaptations in some time, but could have benefited with an injection of personality in its monstrous antagonist. For many, the It mini-series was the first introduction to a world of terror as conceived by horror maestro Stephen King. Based on the famed authors epic 1986 novel, the mini-series had many a teen (and in this critic’s case even younger! ), conversing with energetic zeal about the story of a group of bullied kids tormented by an evil entity in the guise of a clown, portrayed by Tim Curry in a universally celebrated performance. 27 years later, and It has re-appeared to terrorise a new generation. 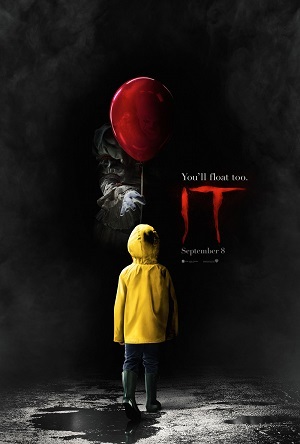 Directed by Andy Muschietti (Mama), this unflinching, bloody, and visually stunning adaptation, is sure to fill cinemas world over with screams aplenty thanks to its story of evil incarnate feasting on the flesh and fears of children, which Muschietti does not shy away in portraying. Those with weak stomachs, beware. Much like Jackie Earl Haley (Nightmare on Elm Street) and Vince Vaughn (Psycho) before him, Skarsgard had large (clown) shoes to fill in his portrayal of an iconic horror character. For the most part he succeeds, with this Pennywise an insidious force of nature that dispenses with the chit-chat and goes straight for the jugular. During these times of graphic violence on screens big and small, it’s a strategic move that makes sense. 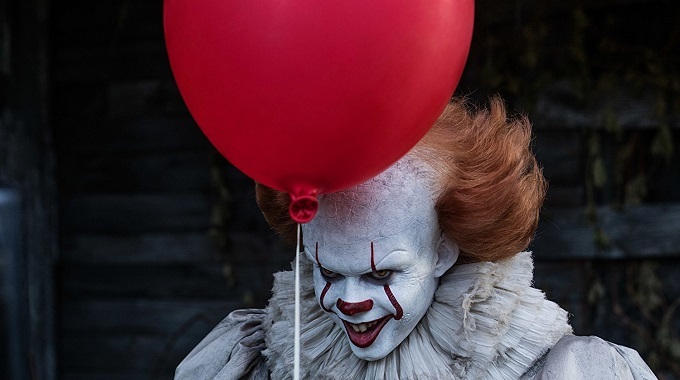 Yet while Skarsgard’s Pennywise is an intensely creepy creation, missing is that spark of personality that made iconic horror characters such as Robert Englund’s Freddy Kruger and (indeed) Tim Curry’s Pennywise immediately memorable. Impeccably lensed by Chung-hoon Ching (Stoker) and with great production design by Claude Pare (The Aviator), It successfully transports its audience to little town USA circa 1989 to make for an impressive display of period filmmaking. This is capped off with several astounding staged and executed horror sequences sure to induce nightmares aplenty. 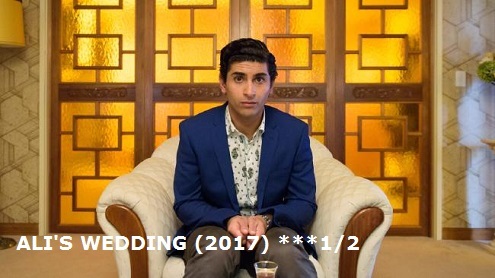 At 135 minutes, pacing is an issue, which is a given considering the number of key characters and the epic nature of the source material. 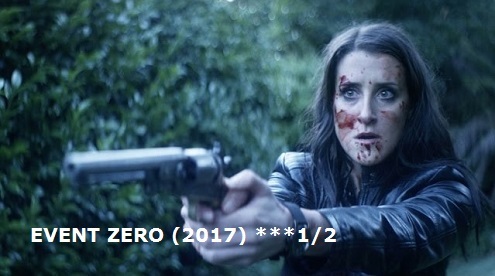 Still, at the films conclusion many will be waiting with baited, shocked breath for the second chapter in this impeccably crafted horror saga. For now, It delivers plenty of ultra-serious and strikingly crafted horror hijinks to feast on.